Start off your visit on the 4th (Fri): identify plant and animal life at Paihia Harbour, take in nature's colorful creations at Waitangi Treaty Grounds, and then identify plant and animal life at Wildlife Areas. Keep things going the next day: get a new perspective on things with Boat Tours & Water Sports, discover the deep blue sea with a scuba or snorkeling tour, and then get close to the beloved marine mammals with a swim-with-the-dolphins experience. To see more things to do, where to stay, maps, and more tourist information, go to the Paihia trip itinerary maker website . Philadelphia, USA to Paihia is an approximately 30-hour flight. The time zone difference when traveling from Philadelphia to Paihia is 17 hours. Wrap up your sightseeing on the 5th (Sat) early enough to travel to Queenstown. Start off your visit on the 6th (Sun): take in the architecture and atmosphere at St Peter's Anglican Church, then race across the water with a speed boat tour, and then push the limits with an extreme tour. Here are some ideas for day two: have some family-friendly fun at Skyline Queenstown, then relax and float downstream with a rafting and tubing tour, and then take in the exciting artwork at Queenstown Arts Centre. To find reviews, maps, where to stay, and tourist information, go to the Queenstown travel planning tool . Traveling by combination of taxi and flight from Paihia to Queenstown takes 5.5 hours. Alternatively, you can do a combination of bus and flight; or do a combination of car and ferry. Wrap up your sightseeing on the 7th (Mon) to allow time to drive to Fox Glacier. On the 8th (Tue), hike along Franz Josef Glacier, then see the world from above with a helicopter tour, then take your sightseeing to a higher altitude at Fox Glacier, and finally trek along Fox Glacier Hiking Trails. To see traveler tips, reviews, more things to do, and other tourist information, use the Fox Glacier holiday planner . Traveling by car from Queenstown to Fox Glacier takes 4.5 hours. Alternatively, you can take a bus. Cap off your sightseeing on the 8th (Tue) early enough to travel to Taupo. 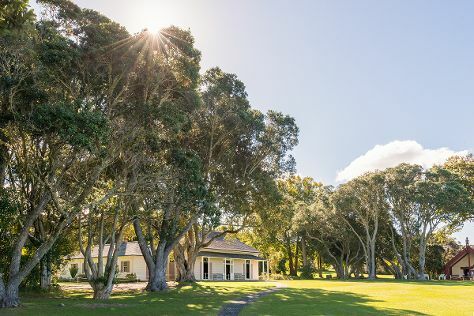 Kick off your visit on the 9th (Wed): explore the activities along Great Lake Taupo, then take a memorable tour with Tours, then take in the dramatic scenery at Huka Falls tracks, and finally take in the natural beauty of Spa Thermal Park and Riverbank Recreational and Scenic Reserve. To see reviews, traveler tips, where to stay, and other tourist information, you can read our Taupo planner . Traveling by combination of car and flight from Fox Glacier to Taupo takes 10 hours. Alternatively, you can do a combination of bus and flight. 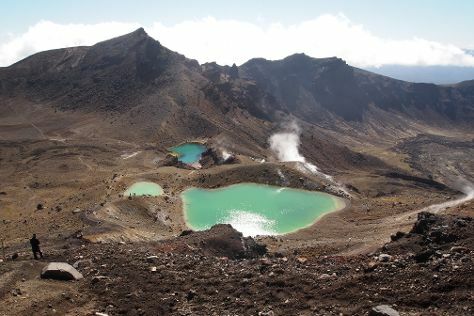 Finish your sightseeing early on the 9th (Wed) so you can drive to Tongariro National Park. Get outdoors at Tongariro Alpine Crossing and Mount Ruapehu. Satisfy your inner culture vulture at Ohakune Old Coach Road and Te Porere Redoubt. There's still lots to do: admire the sheer force of Taranaki Falls. To find ratings, more things to do, where to stay, and other tourist information, use the Tongariro National Park online trip itinerary builder . Drive from Taupo to Tongariro National Park in 2.5 hours. Alternatively, you can do a combination of shuttle and car; or do a combination of bus and car. Wrap up your sightseeing by early afternoon on the 12th (Sat) to allow time for travel back home.